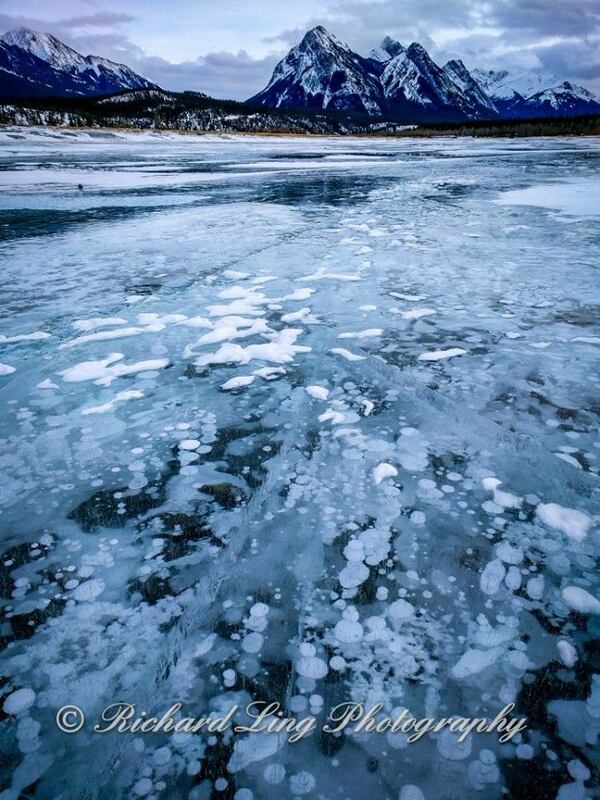 Decomposing vegetation creates methane, which gets trapped under the ice, creating the unique bubbles. 90 minute drive from Lake Louise. Turn to highway 11 at Saskatchewan Junction. Large area for free parking.